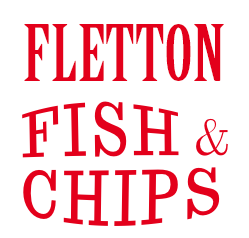 We at Fletton Fish & Chips aim to bring all of our customers the very best value for money, services and food around . Give us feedback. Best and friendliest chippy in town. Always order from here. Lovely food . We've had food from here several times now and have never disappointed. Even tonight had a lovely courtesy call to make sure our food was good as theyve had a busy day. Fantastic!! First time customer. Lovely food. Fish was gorgeous,. One thing - lots of fat covering food. Could do with draining properly before wrapping up, but appreciate I made a late order. All in all, I'm happy and will return as a happy customer. Thank you. Always on time and hot. Lovely fish. Never had any problems. Would definitely recommend. Fab food, food always fresh and great fast delivery, best chippie around. I've been desperate to get decent Fish and Chips delivered I can no longer drive about in the dark so have been stuck with some horrendous fish and chips. You are really good at what you do. I've missed having your food. The best chippy in Peterborough! Lovely, quality food. Fast delivery. Hreat delivery guys. Love your food, keep it coming! I love this site , for ordering my family meals. Fantastic food, great value for money! Keep returning!